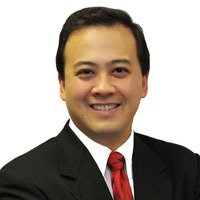 My name is Matthew Chan. I am an independent publisher and business author who was unwillingly drawn into this fiasco. As someone who respects copyrights and adamantly opposed to copyright infringements, I have no problems with someone defending their copyrights. However, there is a “right” way and a “wrong” way to handle things. I admit that this was initially embarrassing to me professionally. But I am not going to hide it. I am supposed to know copyrights well and prevent such infringements from occurring. However, my sense of justice is stronger than my sense of professional embarrassment as is evidenced by the creation of this website. Upon receiving my copy of the Getty Images Settlement Letter in June 2008 with a “settlement fee” of $1,300, I quickly researched this phenomena on the Google and Yahoo search engines. It quickly became apparent to me that there are many victims like myself who fell victim to the countless unscrupulous web banner, template, and graphic designers from India (and other similar countries that habitually and deliberately disregard and violate copyrights) that profit by stealing licensed images and incorporating them into their “creations” (web templates, web banners, and web graphics) and reselling them to their customers in the U.S., Canada, the U.K., and Australia. Initially fearful of the Letter, I became angry about how I was being treated with very little consideration. I understand the concept that “ignorance is no excuse”. However, in practical terms, intent always matters and people and businesses must co-exist civilly with one another in this world and you must pick and choose your battles. There is a difference between people who infringe intentionally and willfully and those who do not but the copyright extortionists will NEVER admit to this. Do people truly want to make enemies with other people who might also be part of the customer base? It appears Getty Images and their ilk answer is most certainly “yes” and they don’t care. They made an enemy out of me. I didn’t take this lying down and cannot be expected to pay for other people’s criminal actions (the Indian web banner, template, and graphic designers.) Common sense must prevail here. Because of my unpleasant experience with Getty Images and exposure to the many complaints received by extortion letter recipients, through ELI, I have become an advocate for individuals and small business owners who have received such letters. I have also personally taken a position to boycott the stock photo Industry. You can read my article “How to Stop Using Stock Photos & Boycott the Stock Photo Industry”. The Bottom Line: I have not heard from Getty Images on my case since the Summer of 2008. The 3-year statute of limitations has run out on my case. But that does not mean I may not run into another letter sometime in the future for some obscure image pirated by prior web image designers I hired. I remain cautious and vigilant. On June 17, 2008, I receive my copy of the Getty Images Settlement Demand Letter. Read my initial blog reaction from June 17, 2008. On June 19, 2008, during my phone conversation with Chloe of Getty Images, she made a “discounted” offer of $800-something (I don’t remember the exact dollar figure) to settle the case. On June 21, 2008, I send my first written response to Getty Images sent by Certified Letter. I wrote about what I considered the central issues of my particular case. On July 8, 2008, I receive Getty Images’ written response to my Certified Letter. Please note the the settlement offer in this letter is now $500.00 and requests that the terms of this settlement offer be kept confidential. Why the secrecy? Does their extortion letter techniques work better when people are in the dark? This particular settlement utilizes a separate document called the “Settlement and Release Agreement” and is directed to me personally despite the fact that the ownership of the website in question was owned by a corporation the entire time and my role in that corporation was President. Essentially, they are trying to “shift” the liability from the corporation I work for to myself personally. Because I received a personal written response (instead of a form letter) to my original reply (above), I felt compelled to write yet another letter to acknowledge the points and comments in her letter. Essentially, the letter is self-explanatory. I requested from them what I thought was reasonable information that would be helpful in a court hearing. On July 16, 2008, I send my second (and final) rebuttal to Getty Images sent by Certified Letter. As of June 17, 2011, the 3-year statute of limitations ran out for my case. Nevertheless, I do not take anything for granted. Anyone can get another one of these extortion letters at any time. I remain cautious and vigilant with the use of images on my websites. In March 2013, I resigned my position as Editor-in-Chief out of protest of an overreaching Permanent Protective Order issued against me pending the appeal Oscar Michelen and I filed in August 2013. We expect a ruling on my appeal from the GA Court of Appeals sometime in March 2014. I retain my Founder status. I continue to serve and act as both copyright defense consultant and copyright extortion subject matter expert working with Oscar Michelen. I also continue to provide our premium service, ELI Support Call. 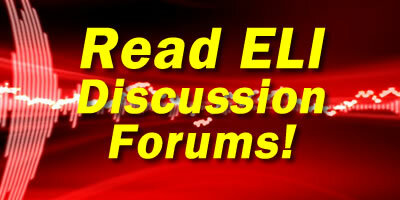 Most of the information you need to handle your case can be found in the ELI Discussion Forums. However, if you would like to speak and consult with me, visit the ELI Phone Support Call page.